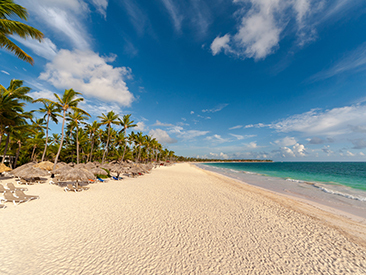 Bavaro Princess All Suites Resort, Spa and Casino is an all-inclusive, family-friendly vacation spot located on one of the most spectacular white-sand beaches in the Dominican Republic. Set in the sprawling Princess Resorts compound, Bavaro Princess features an abundance of activity and dining options, as well as, numerous facilities for guests to choose from. Guests enjoy on-site shuttle transportation throughout the resort and access to the Tower Princess Casino and fabulous Lancelot Disco every evening. Bavaro Princess All Suites Resort, Spa & Casino is located on one of the most spectacular white, sandy beaches in the Caribbean, next to the region’s only shopping center and about 25 minutes from the Punta Cana Airport. This expansive all-inclusive resort is set in the sprawling Princess Resorts compound with an abundance of activity and dining options available for all ages. 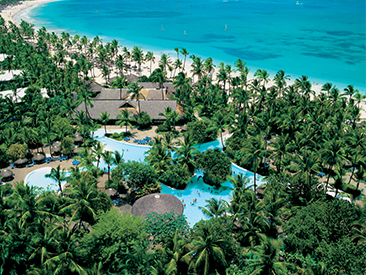 The grounds are beautifully maintained and serene, and the resort staff is consistently helpful and friendly. Guests enjoy on-site shuttle transportation throughout the resort plus access to the Tower Princess Casino and fabulous Lancelot Disco every evening. Bavaro Princess All Suites Resort, Spa, & Casino is the only resort in the Dominican Republic with the official title of Ecological Hotel, with a natural rainforest with pathways for strolling and about 64 different species of animals in a mini-zoo running freely throughout the premises, including tropical birds and peacocks. 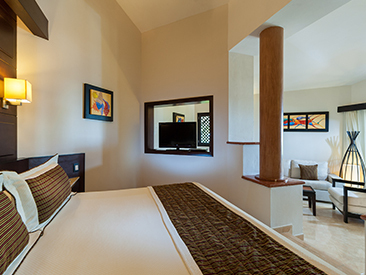 The Bavaro Princess offers free WiFi in the Lobby Area Only to all guests. Available for couples married within a maximum of 60 days before arrival date. Proof of marriage date required at check-in. Must be requested at time of booking.